Posted by Jace Stolfo on Monday, May 13th, 2013 at 2:41pm. This charming and functional home was built in 1987 and has 2013 sq/ft. The master bedroom is ideally located upstairs along with the great room (kitchen open to the family room). The fully finished basement has 2 additional bedrooms, full bathroom, and a second family room. The downstairs family room would be perfect for a bonus room, media room, or play room for kids. 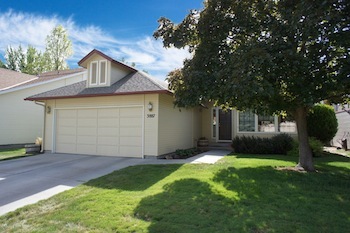 This home in Boise has a newer roof, furnace, paint, and is overall in excellent condition.